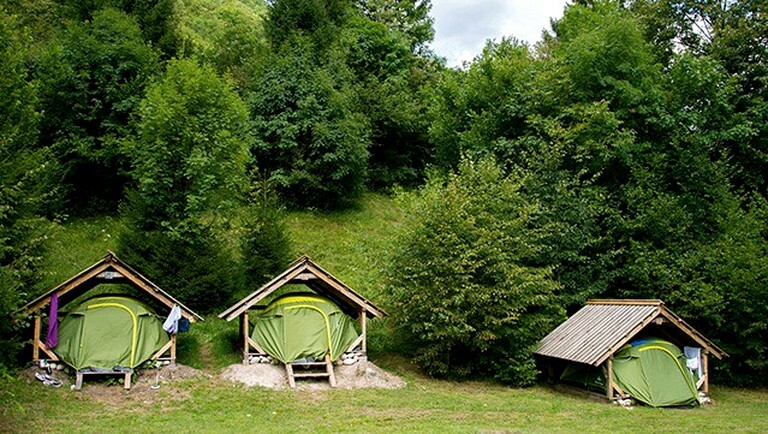 This cozy camping tent is located in an eco-friendly adventure resort in northern Slovenia and can accommodate two guests. Within the tent, there are two beds provided. There is always fresh linen provided to maximize the comfort of the guests' stay. 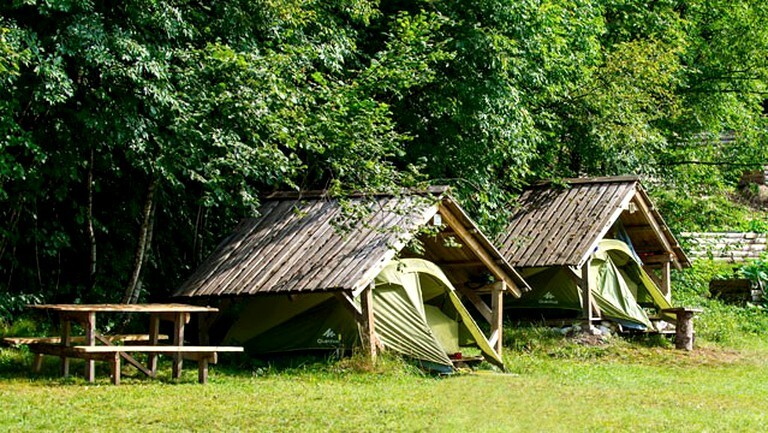 There is a central cabin with a well-equipped kitchen for guests to cook meals, whether on the barbecue, on the open-fire, or baking in the traditional Slovenian oven. The cabin also houses modern toilets and showers. An area set up with hammocks is designated for relaxation. 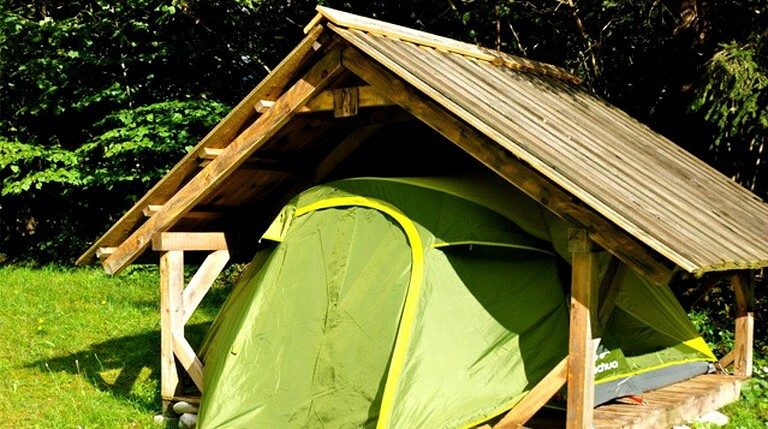 This glamping property provides many different adventure packages and adventure sports sessions that cost an additional fee and can be booked when at the property. These packages include water, earth, and air activities that have something for everyone. Guests can choose between a wide variety of adventure sports for all the elements, whether its water, snow, land, or air. Popular water sports include kayaking, canyoning, snorkeling, and rafting. During the winter months, the experienced staff can guide guests on skiing, snowboarding, ice climbing, tobogganing, and snowshoeing tours. For an adrenaline rush on land, there are options for biking, climbing, horseback riding, playing paintball, and hiking. 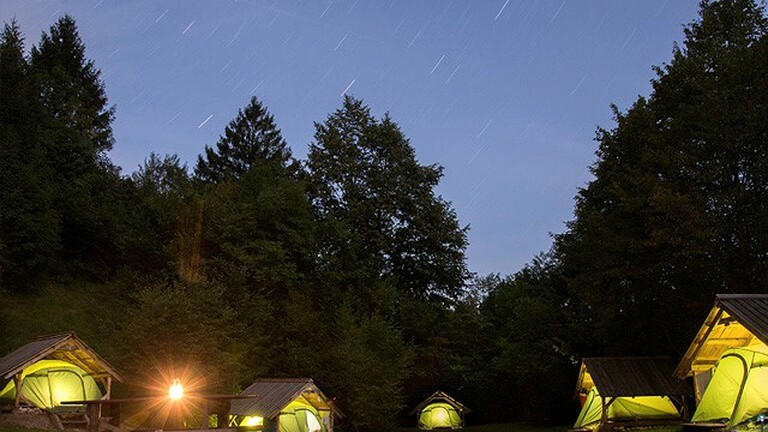 Thrill-seeking glampers can also choose to go bungee jumping, zip-lining, and paragliding. The property itself is home to plenty of fun activities, including table tennis, volleyball, badminton, and more.